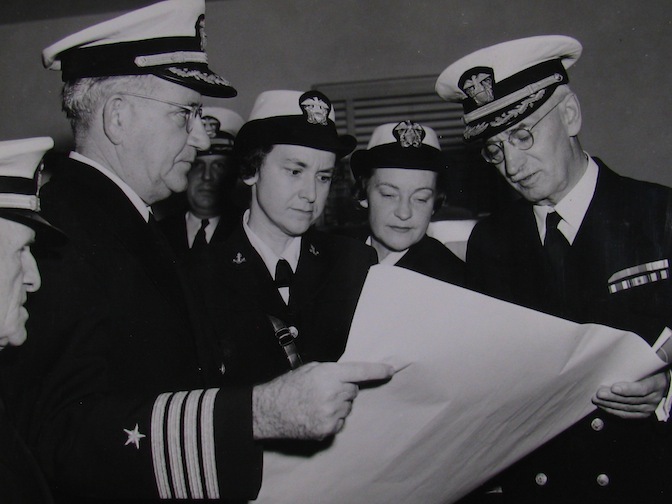 70 years ago today, October 14, 1943, WAVES commander Mildred McAfee was on an inspection tour of the Norfolk Naval Base. Here, she inspects construction plans for the new Women’s Reserve barracks at the receiving station. Left to right: Capt. Thomas S. McCloy, McAfee, WAVE Grace Dimelow, and Micajah Boland.